Be aware that paying off a collection account will not remove it from your credit report. It will stay on your credit report for seven years. If you are having trouble making ends meet, contact your creditors or see a legitimate credit counselor. Your creditors may be able to arrange a plan with you that will prevent you from being reported late (such as Bowater Credit Union’s Delay-A-Pay service), and will therefore keep your score from lowering. Seeing a credit counselor won’t improve your score immediately, but if you can begin to manage your credit and pay on time, your score will get better over time. Don’t close unused credit cards as a short-term strategy to raise your score. It will lower the amount of “available credit” you have, which can be calculated as a lower score. Don’t open a number of new credit cards that you don’t need, just to increase your available credit. This approach could backfire and actually lower your credit score (because it lowers average length of credit history). If you have been managing credit for a short time, don’t open a lot of new accounts too rapidly. New accounts will lower your average age, which will have a larger effect on your score if you don’t have a lot of other credit information. Also, rapid account buildup can look risky if you are a new credit user. If you’ve never borrowed or you paid off your last loan 10 or more years ago, you may want to establish and keep good credit with a low-rate, no-fee credit card. Pay it in full each month to avoid interest, but keep the card open to establish and keep a long credit history. Do your rate shopping for a given loan within a focused period of time. FICO scores distinguish between a search for a single loan (such as a car or mortgage) and a search for many new credit lines, in part by the length of time over which inquiries occur. Note that it’s OK to request and check your own credit report. This won’t affect your score, as long as you order your credit report directly from the credit reporting agency or through an organization authorized to provide credit reports to consumers (such as www.annualcreditreport.com). 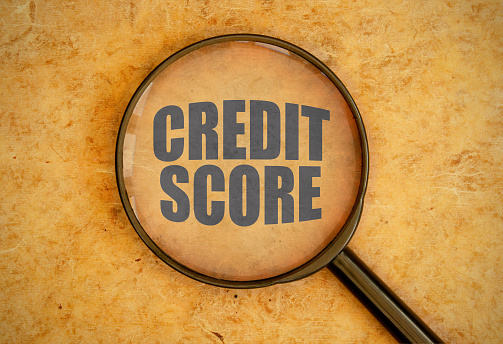 Most credit monitoring services do not affect your score. Apply for and open new credit accounts only as needed. Don’t open accounts just to have a better credit mix – it probably won’t raise your credit score. Have credit cards – but manage them responsibly. In general, having credit cards and installment loans (and making timely payments) will raise your credit score. Someone with no credit cards, for example, tends to be higher risk than someone who has managed credit cards responsibly. For more information about your credit score and how it is calculated, visit www.myfico.com.